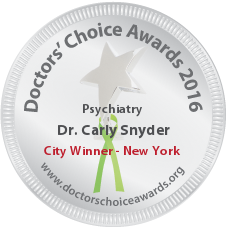 Dr. Snyder is one of a small cohort of medical physicians in New York City specializing in reproductive psychiatry. Dr. Snyder is an attending physician on staff in the Departments of Psychiatry and Obstetrics and Gynecology at Mount Sinai Beth Israel Medical Center and is volunteer faculty at NY Presbyterian Weil Cornell in the Payne Whitney Women’s Mental Health Program. She also holds a teaching appointment at Mount Sinai School of Medicine. Her approach combines traditional psychiatric treatment with integrative medicine-based treatments. Dr. Snyder is on the Postpartum Support International (PSI) Board of Directors as the Research Chair. PSI is the leading national organization providing awareness, prevention, resources and treatment of mental illnesses related to childbearing. She frequently speaks to various audiences, such as ‘The Pregnant New Yorker,’ and was one of the expert guest lecturers for Chic City Mom. Dr. Snyder is also a member of the Women’s Mental Health Consortium. Dr. Snyder has a private practice on the Upper East Side and is the Director of Women’s Health for Family Health Associates. Dr. Snyder has a weekly radio show on Tune In radio and the BBM Global Network, MD for Moms, and a Huffington Post Parenting blog of the same name. Dr. Snyder is a fantastic reproductive psychiatrist. She has excellent clinical acumen and is interested in and knowledgeable about many diverse areas that affect her patients lives and health. She cares deeply for her patients and is a wonderful colleague. Dr Snyder is passionate about her patients and goes above and beyond. She is extremely knowledgeble, compassionate and a wonderful clinician and college. I work with Dr Snyder on the board of Postpartum Support International , and as NYC coordinator for the organization I refer patients to her frequently and get their feedback. She is informed and up to date, she is thorough, she is caring and committed and she is a terrific psychopharmacologist. I would not hesitate to recommend Dr Snyder or send a family member to her especially if they needed a reproductive psychiatrist. 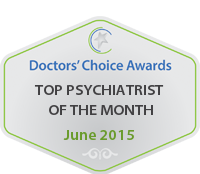 Dr. Snyder is an outstanding reproductive psychiatrist. She is a trusted colleague, both exceptionally warm and knowledgeable. She is a wonderful contributor to the Women’s Clinic. I have a clinical practice in New Jersey treating postpartum mom’s. I currently sit on the board of Postpartum International with Carly, and have worked with her in this capacity for 3 years. I have referred several clients to Carly, and I trust her medical judgment implicitly. The cases I referred to her were complicated and urgent. She was available to both the client and myself for all questions and concerns. Her professionalism is undeniable, and her unwavering commitment to postpartum woman and families is extraordinary. I look forward to continuing to learn from Carly. She is an empathic and smart clinical. A very rare combination. I’ve had the pleasure of working closely with Dr. Snyder on the Board of Postpartum Support International. As Chair of the Research Committee, she has shown an impressive command of the research literature regarding perinatal psychiatry as well as a strong ability to work flexibly toward shared goals with an eye toward maintaining the highest standards of research rigor and professionalism. 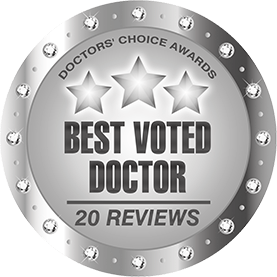 Dr. Snyder also has an excellent “bed-side” manner and has consistently shown an ability to be compassionate and sensitive in even the most challenging clinical situations. Dr Snyder is absolutely wonderful! She is incredibly caring, hard-working, patient-focused, and committed to her patients. Carly is absolutely the best! Dr. Snyder is an exceptional, compassionate clinician. She takes the time to connect with and really understand her patients and she is an astute diagnostician. Her patients absolutely love her. Dr. Snyder is also an excellent colleague with whom it is a pleasure to collaborate. Carly is an astute clinician with a true talent for assessing and treating her patients. On top of that she is versatile, flexible and always incorporating new research and interventions. She is a pleasure to work with professionally and personally. 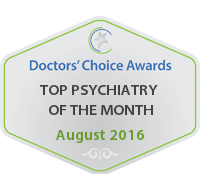 Dr. Snyder is a wonderful clinician, and a top-notch psychiatrist. her intelligence and knowledge-base, formidable to say the least, are only superseded by her commitment to her patients, which is, I believe, the most important trait in a doctor. I have absolutely no reservations in recommending her to patients with psychiatric concerns in the pre-, peri-, and postnatal stages of pregnancy. Dr Snyder is professional, warm, nurturing and competent psychiatrist with a firm grasp of medication but also a great respect for talk therapy and a more psychodynamic approach. I’ve had the pleasure of interacting with Dr. Snyder since her residency years. She has been a great mentor and teacher to peers and patients alike. 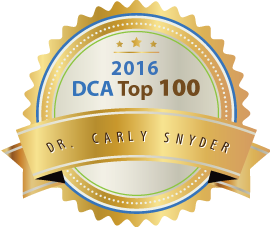 Dr. Snyder is extremely knowledgeable, thorough, and invested in her patients’ care. I wholeheartedly endorse her nomination for the DCAs. Give Dr.Snyder a difficult case and you can see how she rises to challenges and never gives up. Dr. Snyder is wonderful, with a natural warmth and compassionate nature. She connects easily with others and takes her time to truly get to know people. She excels in her field, stays current with all research, and explains things astutely and clearly. Dr. Snyder takes excellent care of her patients and is a delight to work with! Dr. Synder is an excellent mentor and an invaluable resource for trainees. She has a wealth of knowledge and is always available to speak with. As a doctor in training, I owe much of my learning to her. 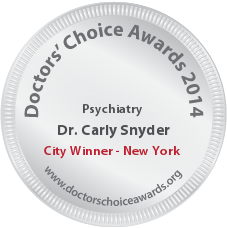 Dr. Carly Snyder is an exceptional psychiatrist specializing in reproductive health. She is incredibly attentive to details, compassionate. and up to date on the latest evidence based treatments. I frequently consult with her when patients of mine are planning to start a family. I would certainly refer a loved one to her. Dr Snyder has been invaluable to me as a consultant for my patients with severe mood disorders who are considering pregnancy. She puts my patients at ease with her expertise and provides recommendations that I can then implement with my patients. She has always been responsive after the initial consult when I have had additional questions or needed to revise a treatment plan. She is a pleasure to collaborate with! Dr. Snyder is beyond amazing! She connects with her patients in a way that is truly touching. Her speciality of reproductive psychiatry is a field that is much needed and her work is absolutely appreciated. She is well versed in all of the up to date literature and evidenced based medicine in her field which provides the utmost reassurance to her patients. Dr. Snyder’s work is truly out reaching. Her knowledge is ongoing as she is always attending conferences and keeping up to date with new developments in her field. Her patients love her and her referring physicians have nothing but the utmost respect for her. She is truly one of a kind and a much needed resource in this day and age. Dr Snyder , has been amazing. I have referred many patient to her, and everyone loves her and brag about how she has helped them.